What do deserts, snowplows and reclaimed water all have in common? They can all be culprits in creating saline or sodic soil conditions. In regions where little rainfall occurs annually, saline and sodic soil conditions are common. Frequent applications of effluent or poor-quality irrigation water can lead to salt buildup in the soil profile. In areas that receive snowfall, applications of salt-based ice melt products can lead to sodic soil conditions. Wherever you are located, chances are you battle one or more of these issues throughout the year. Fall is the time to fight back! Use this time to focus on improving soil health and to be proactive in preparing turfgrass for winter. What’s dangerous about saline/sodic conditions? Left unchecked, sodic soil conditions can lead to poor turf health and a lack of soil structure. This forces turfgrass managers to search for solutions to aid in the remediation of salt buildup in soils. Without a focus on rebuilding soil structure, soil will become easily compacted and contain little air-filled space for roots to thrive. It is common for turfgrass managers combating sodic soil conditions to utilize gypsum products to help leach salts from the root zone and improve clay particle structure. Historically, gypsum applications have been made with the anhydrate (CaSO4) form of calcium (one water molecule), which could take weeks to become available for activation. This prolonged activation process severely limits a turfgrass manager’s ability to jumpstart the soil remediation process. Featuring gypsum and humic substances in one, homogenous granule, Black Gypsum DG aids in flushing salts from soil, improving soil microbiology, and creating an ideal environment for roots to flourish come spring. The gypsum source in Black Gypsum DG is calcium sulfate dihydrate (CaSO42H20). With two extra water molecules, this version is more water soluble than its anhydrite (CaSO4) counterpart. This improved solubility means that uptake into the turfgrass plant occurs much more quickly. The dihydrate form of gypsum also provides increased application flexibility for year-round soil remediation versus standard anhydrate forms of gypsum. Black Gypsum DG utilizes The Andersons’ patented Dispersing Granule (DG) Technology, which allows a single gypsum granule to dissolve into many small particles upon contact with water. Another benefit of Black Gypsum DG is the homogenous prill, which contains humic acid in all forms. Humic substances contain carbon, which provides soil microbes with a food source and habitat, allowing microbial populations to flourish. As a result, essential macro- and micronutrients in the soil become more plant available. 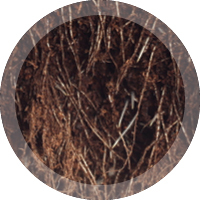 Humic acids also have a high cation exchange capacity (CEC), which enhances the soil’s ability to hold nutrients. Black Gypsum DG is available in two formulations: one featuring 21% humic acid and the other featuring 10% humic acid. Black Gypsum DG 21% is available in both small (75 SGN) and large (240 SGN) particle sizes with typical application rates of 130-520 lbs/acre. Black Gypsum DG 10% is available only in a large (240 SGN) particle size with a typical application rate of 130-520 lbs/acre. For Black Gypsum DG product sheets and labels, click here. 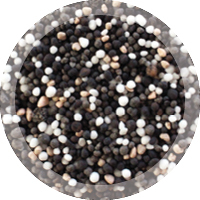 Black Gypsum DG can also be found in our 22-0-4 Fertilizer with HCU™. Powered by Humic Coated Urea and Black Gypsum DG®, this product is designed to improve nutrient uptake, relieve compaction and soil salinity, reduce bicarbonates, and improve root development. 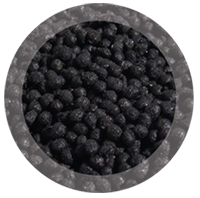 With Black Gypsum DG representing 43% of the formulation, this fertilizer contains no filler and every granule provides a benefit. From effluent and poor-quality irrigation water to damage from ice-melt products, saline-sodic soil conditions can be caused by a variety of factors. The bottom line is this: doing nothing is not a viable long-term management strategy. By incorporating soil health focused products into your program, you put your turf in a position to better withstand stresses which will occur the next growing season. 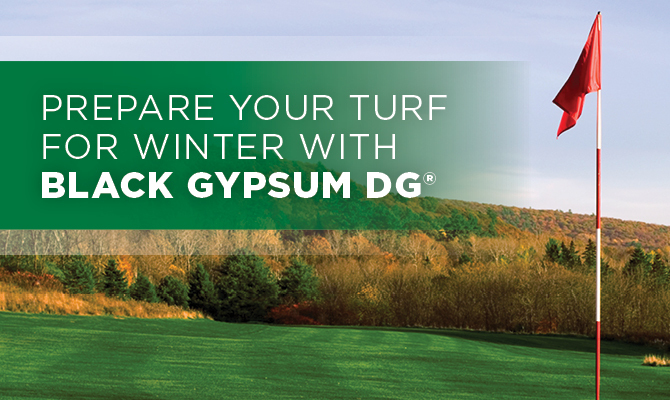 Black Gypsum DG is a powerful tool designed to combat these stresses, improving soil health and setting turf up for future success. For more information on how you can combat saline/sodic conditions, please complete the form below. We’ll get you in touch with your Territory Manager from The Andersons, who can help you design a program specific to your challenges. Anthony “Tony” Goldsby is the Research Agronomist for The Andersons Professional Products business, responsible for research, service, and technical support. Prior to joining The Andersons, Tony received both his master’s and doctorate degrees from Kansas State University with an emphasis in turfgrass management. Specializing in Integrated Pest Management (IPM) and turfgrass science and management, Tony is a firm believer in providing turfgrass education and enjoys helping customers establish or adjust their IPM or fertility programs.